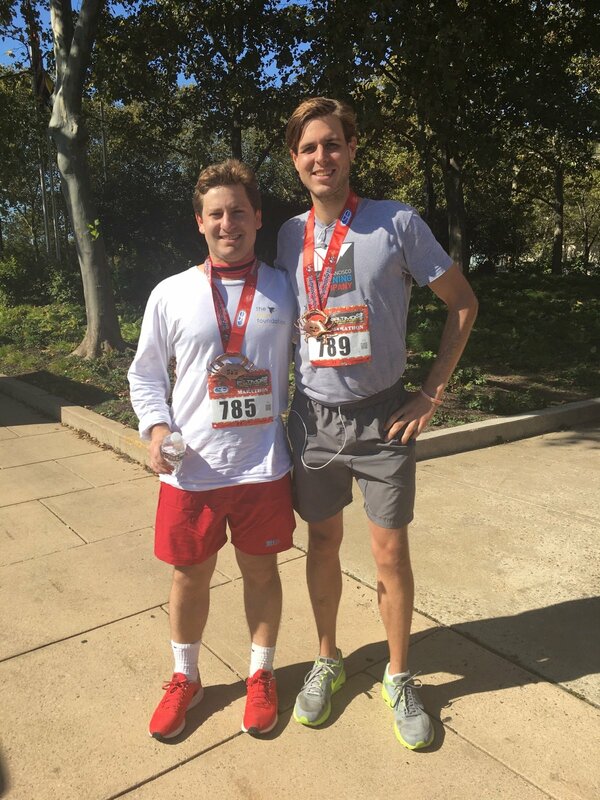 Donate to Matt & Jack’s marathon fundraiser here. Nov. 28, 2013, Matt Sedney went for a run with the sister he would lose in 27 days. It was Thanksgiving in Ridgefield, Conn., his first since graduating from Washington College that spring. Jennifer Sedney had gotten into running, and Matt, her younger brother, only sibling and a former Division III soccer player, was following her lead. Along with their father, Len, they had signed up for the city’s Turkey Trot. They were assigned sequential bib numbers for the 5K run, Nos. 500 to 502. They finished less than 2 1/2 minutes apart, the 62-year-old Len in first and Jennifer just 96 seconds behind Matt. With the morning chill below freezing, they had kept close that fall day. Matt’s memory of the race still warms him. The next month, Jennifer complained of a terrible headache. She soon recovered, feeling well enough to go shopping and wrap presents with her mother, Alison. Then she collapsed. On Christmas Day, she died of a cerebral hemorrhage from a ruptured subarachnoid aneurysm. Jennifer was 27. Matt began to reach out to friends. He texted some. He called Jack Taylor. Their diverging lives have separated them since their days at Washington College, Taylor returning to Baltimore to work in real estate and Matt living in New York for his finance job. Jennifer will bring them together again this weekend. 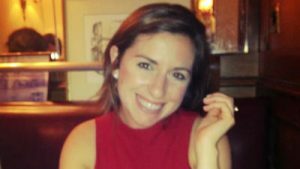 On Saturday, the 25-year-olds will run alongside each other in the Baltimore Marathon in honor of Jennifer and in support of The Bee Foundation. Taylor already has raised nearly $2,000 for the Philadelphia-based nonprofit dedicated to spreading awareness of and raising money for preventative research into brain aneurysms. Start your own fundraiser with The Bee Foundation today. Matt and Jennifer grew up where they last raced together. They lived in an ancient house in Ridgefield; Matt put its date of construction sometime in the late 1700s. Because Jennifer was the older sibling and their home was very old, Matt suffered. She was an otherwise loving, not-at-all-annoying sister, a “mentor,” Matt said. When her friends came over when he was in middle school, Matt, the future captain of a nationally ranked high school boys soccer team, would play with them in the family’s backyard. Matt valued her advice and experience. Jennifer had gone through Ridgefield High before he entered his freshman year there and had graduated from Michigan before he enrolled at Washington College. She would do her best to tell Matt what lay ahead. When Taylor moved to Chestertown, he remembers thinking Sedney, the first time he saw him, was older than he looked. They lived in Kent House together, but neither said a word to the other as they walked past the other in another building on campus. That would change soon. They were both athletes — Taylor, a Calvert Hall graduate, played on the Shoremen tennis team — and they both loved sports. That was all it took. 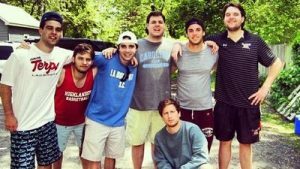 They became close, living together again as sophomores and in an off-campus house with a clutch of friends as seniors. On the weekends, they’d throw parties and hang out outside. During lacrosse season, they’d grab a few beers and a few friends and head to Roy Kirby Jr. Stadium for home games. Washington College was a haven for transplant Ravens fans, so fall Sundays were particularly special for Taylor. “A hell of a great time,” he recalled, until he realized one friend wasn’t who Taylor thought he was. Sedney had rooted for the New York Jets in public. Privately, he was hiding another fandom. Sedney and Taylor came to rely on each other, be it for a U.S. Open viewing partner over Labor Day weekends in college or for simple advice, so Taylor was happy to see his friend calling him in December 2013. Sedney told him what happened. Taylor was gutted; he had met Jennifer only once, but he has a sister, too. He couldn’t imagine the pain. Over time, Taylor learned more about The Bee Foundation, about how one in 50 Americans will develop a silent brain aneurysm, about how 40 percent of those aneurysms that rupture are fatal. He lost weight, got in shape. He ran his first marathon in July. He convinced Sedney to run his first in Baltimore. It will not be easy, even with family and friends there to root them on. Sedney has completed only half-marathons, and he joked about needing to stop at mile 15 or 16 Saturday. It will be an exhausting day, he knows, with an important friend. The best thing Taylor did for Sedney after his sister’s death was tell him, “I’m here for you and I’m here to talk with you.” Now that Sedney’s running in her memory, farther than he ever has, he will need someone to lean on. Taylor has assured Sedney he will be there, running with him, step for step. Previous Post: Warning Signs of a Brain Aneurysm – Do You Know Them?